Being a veteran of the US Air Force, I feel especially proud to be able to participate in an event that gives a little bit back to some of our country’s veterans that have sacrificed much more than I have to defend our freedoms. Chili when its Chilly affectionately referred to as CWIC, is an annual gathering of a bunch of great people and musician ( musician are great people too) to cook some chili, play some music and ultimately raise some money to support our veterans through Boot Campaign. This year’s event takes place February 15-16 2019 in Waller, Texas at Lonestar Jellystone Park – Camp- Resort. Boot Campaign’s comprehensive health and wellness program targets the big five invisible wounds: PTSD, traumatic brain injury, chronic pain, self-medication and insomnia. Boot Campaign began after 5 Texas women read Lone Survivor, the boot about Marcus Luttrell’s survival both in the field and after his service. Since its beginning in 2011, the organization has given more than 2 million dollars annually to help service members, veterans and their family’s who are dealing with invisible wounds. How does CWIC help out? 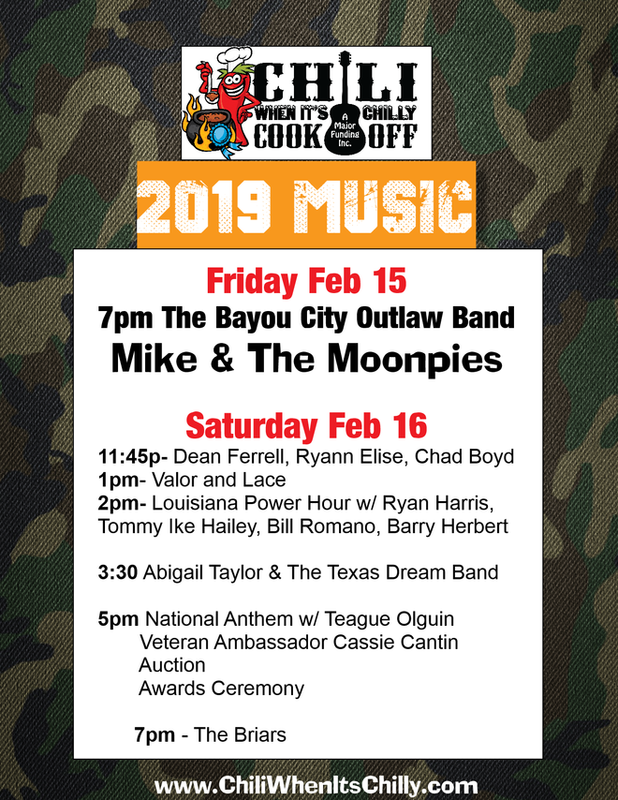 Well there’s a chili cook-off (includes additional steak, burger, dessert, mixed drink and jalapeno contests) and two days of musical performances, plus silent and live auctions with proceeds all going to Boot Campaign.